Aged 54, was appointed as Deputy General Manager (Programme and Production) in July 2016 and is responsible for Programming and Production Divisions. Mr. To served in TVB Network Vision Limited, an associate of the Company, as CEO between 2012 and 2014, and joined TVB as Programme Controller and Assistant to Group CEO in January 2015, as Assistant General Manager in October 2015 and promoted to his current position in July 2016. Mr. To has had extensive experience in the media industry in Hong Kong, ranging from newspapers, publishing, advertising, radio, to pay and free TV. 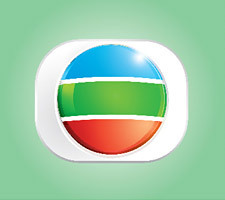 Before joining TVB, he was in various management positions overseeing production and programming in Asia Television Limited between 1996 and 1999; i-Cable Communications Limited between 2002 and 2005; and now TV between 2008 and 2012.